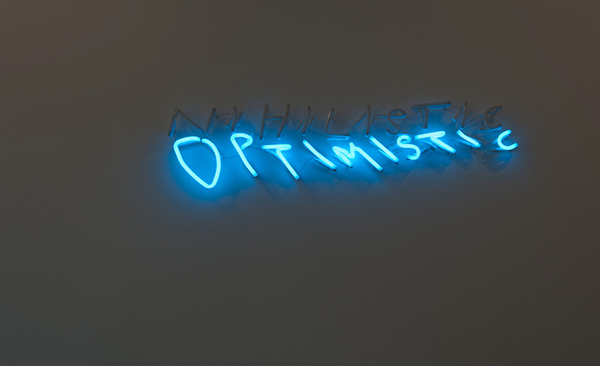 Tim Noble & Sue Webster’s Nihilistic Optimistic show is pretty amazing and an excellent inauguration of Blain|Southern‘s new HQ on Hanover Square – even ‘though it has apparently costed the artists their marriage :-(. 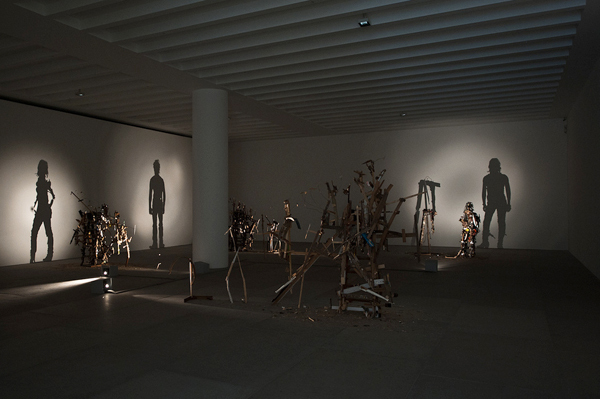 First major solo show of Noble & Webster in London since 2006, it features six large installations, assembled from found material (trash, basically), spot-lit and casting shadow silhouettes of the artists on walls. 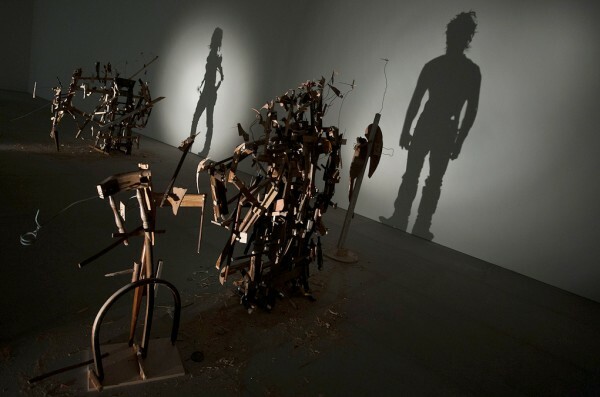 The duo has been using the casted shadow element since a long time, but these silhouettes are definitely our favorites, detailed and life-like, but at the same time trashy, just like the objects they were constructed from. 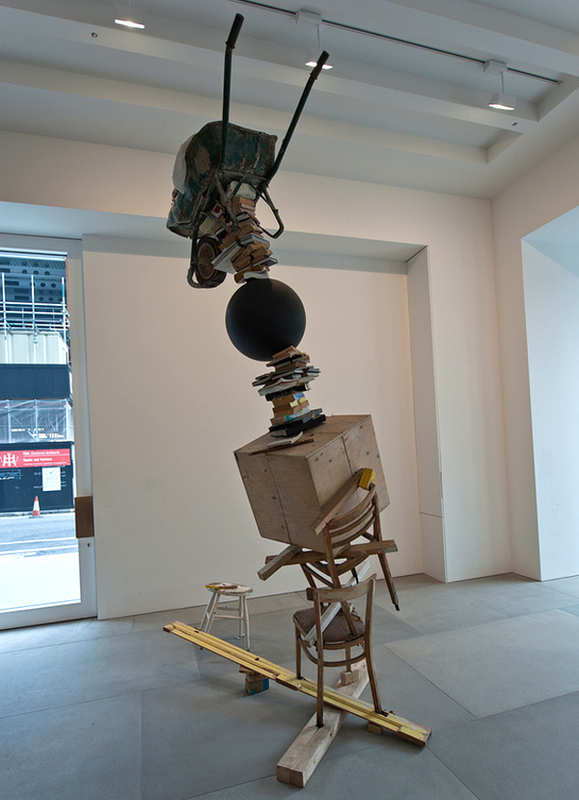 The titles reflect the mood which must have reign in the studio during their making: Self Imposed Misery, Wild Mood Swings, The Individual, Nasty Pieces of Work etc. Ouch. 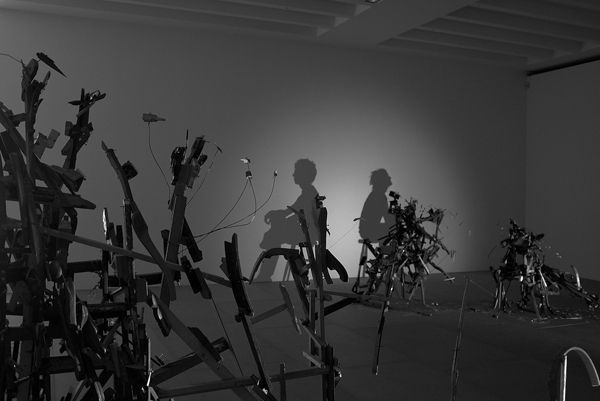 Besides the “shadows”, there’s a very unstable-looking installation, aptly titled My Beautiful Mistake, consisting of objects as wheel-barrow, jumping ball, books, chairs etc. piled on top of each other and giving the impression of inevitable fall. 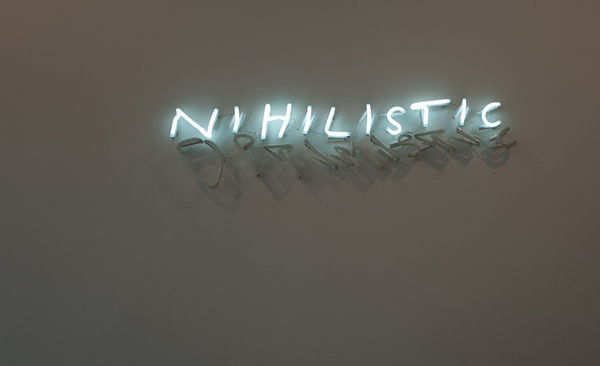 Finally, right across the impressive gallery entrance, is a 2-piece neon installation quoting the title of the show, Nihilistic Optimistic, in Tim’s scribbled handwriting, alternately switching on and off.